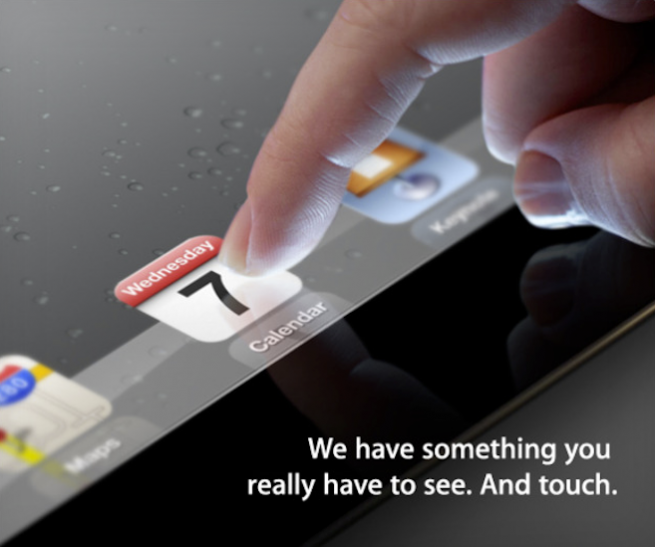 Apple has made it official that the iPad 3 is coming very soon, March 7th to be exact. Several media outlets, including The Verge and The Loop reported that they have received their official media invites to the iPad 2 event. The event will take place at the Yerba Buena Center for the Arts in San Francisco, California at 10:00 a.m. PST. The iPad 3 is expected to be a nice upgrade from its predecessor with a quad-core processor, LTE technology, and a high resolution Retina display. The iPad 3 is expected to be available shortly after the event next week.